The New Peckham Experiment, Get Involved! An Exciting Initiative that stood out at the Incredible conference. The new Peckham Experiment is just Incredible and deserves our full support. Up here in Tod we are a long way from Peckham, but we can and do lend our voice and support to their cause. You folk around the London area can get hands on, and those farther a field can give their support by spreading the word. We can all help make this the amazing success it deserves to be. 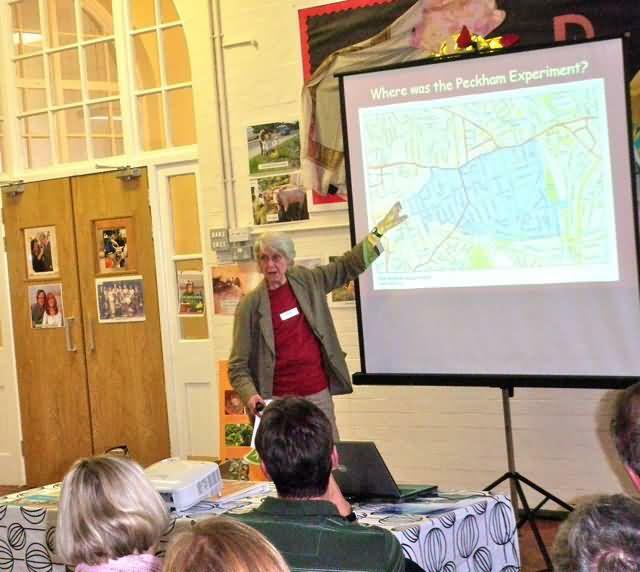 Born out of the original Peckham Experiment The New Peckham Experiment is designed to develop the constituent elements of whole-community-health to meet the challenges of a low-carbon future. You can make a difference, you can help make this incredible! email Eileen Conn here Let’s all help grow communities kindness and friendships along with the veg.